Jökulsárlón is Iceland’s most famous glacier lagoon. Visiting this lagoon feels like entering a magical world. The icebergs floating in the lagoon, the diamond shaped forms of the ice chunks, the many colors of the ice, from white, to all kinds of blue and even black, a fairytale you will never forget. 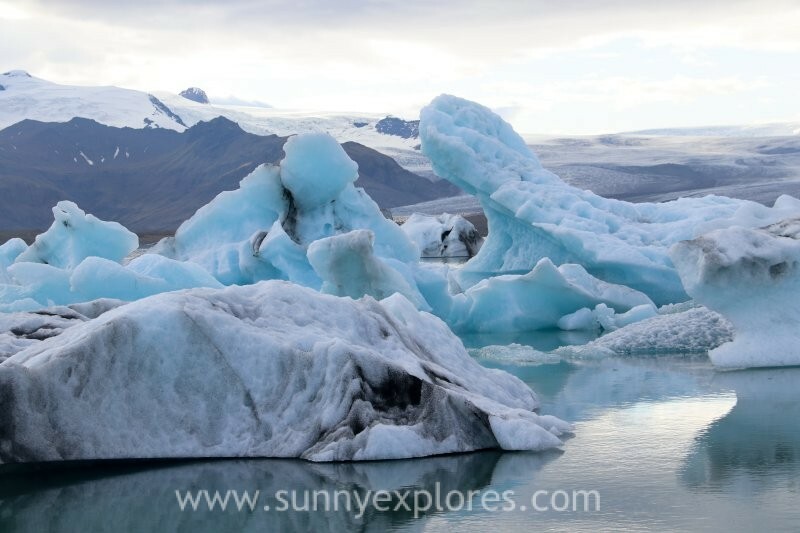 Jökulsárlón is a lake, filled with the meltwater from an outlet glacier, the Breiðamerkurjökull, a tongue of Europe’s largest ice cap, the Vatnajökull. 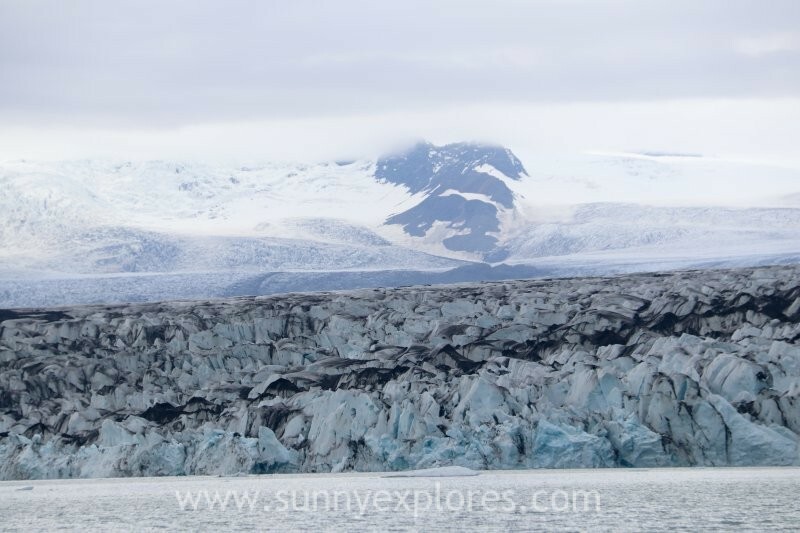 The lagoon also fills with icebergs breaking from the glacier. The colors of these icebergs are amazing. Most are white, but I loved the electric blue ones. Some icebergs carry black streaks of ash from volcanic eruptions centuries ago. The water is a mixture of fresh water and sea water as the tides bring sea water into lagoon. This mixture makes the lake a paradise for seals, who catch their fish here and rest afterwards at the ice chunks. Jökulsárlón provides them with a safe haven to rest and socialise, since the waters of southeast Iceland are renowned for their population of orcas. 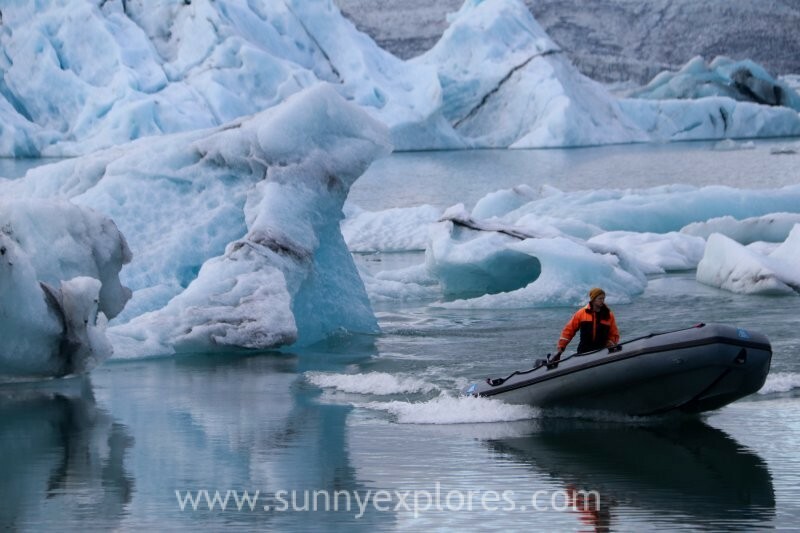 You can explore this glacier lagoon best with a zodiac. Only then you will get an impression of the size and extent of the lake. The zodiac also takes you to the edge of the glacier where the icebergs break and fall into the lake, something you can’t see from the shore. 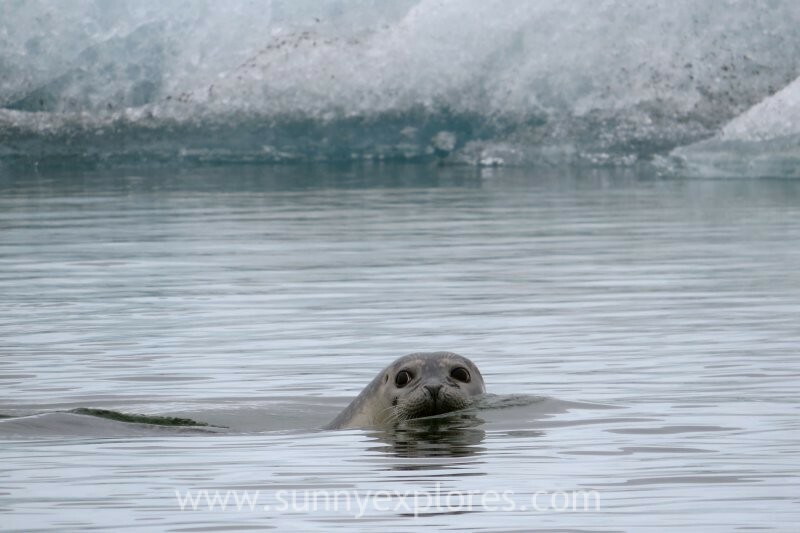 From the low point of the zodiac you have a beautiful view on the many seals and the many colors of the ice. I could have spent weeks here. Jökulsárlón was only formed around 1935, due to rapidly rising temperatures in Iceland. Since 1920, the Breiðamerkurjökull has been shrinking at a dramatic rate, and the lagoon began to fill its space. Today, the expansion of Jökulsárlón is accelerating. In 1975, it had less than half its current surface. 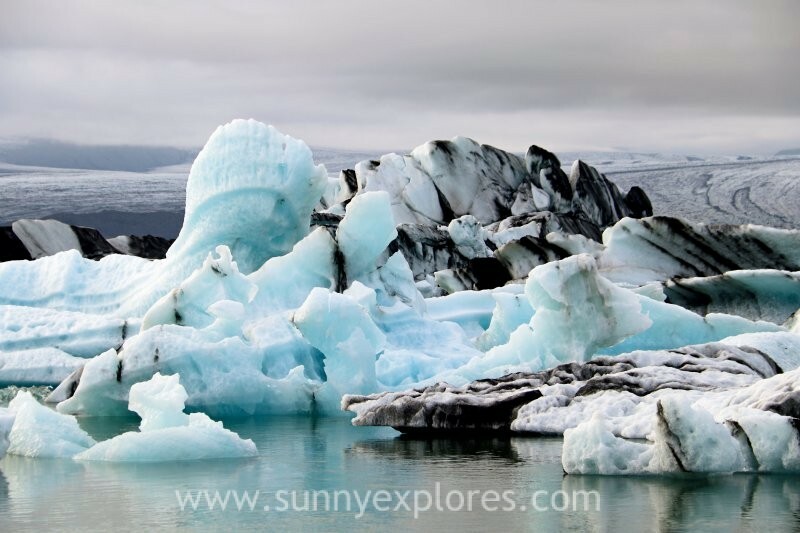 Jökulsárlón is the deepest lake in the country, with depths of 248 metres. The river Jökulsá connects the lagoon to the Atlantic Ocean. 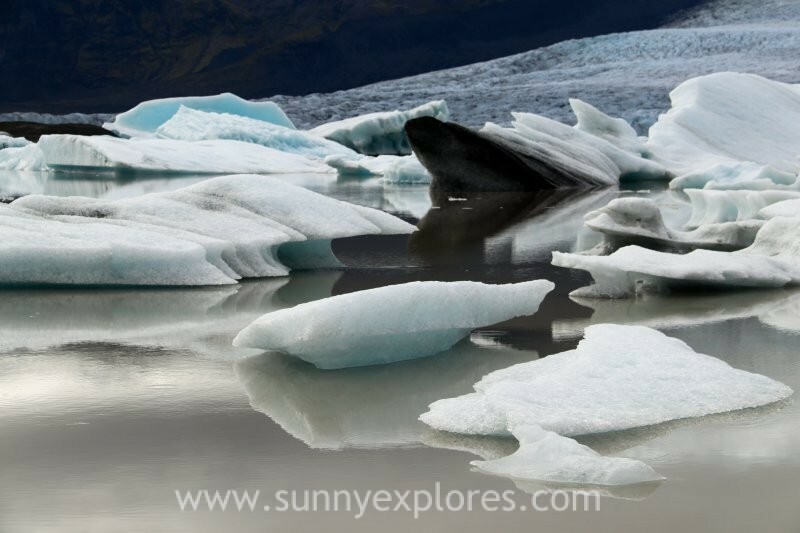 When the icebergs make it across the lagoon, they either drift out to sea or wash up on the nearby black sand shore. 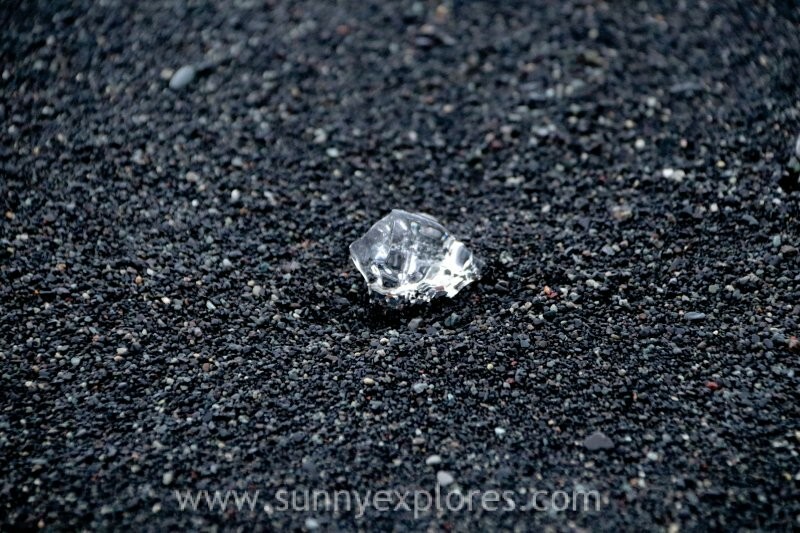 Because of the way they glisten against the black sand, this beach is called ‘the Diamond Beach’. A walk on the black Atlantic shore in front of Jökulsárlón is pretty spectacular. 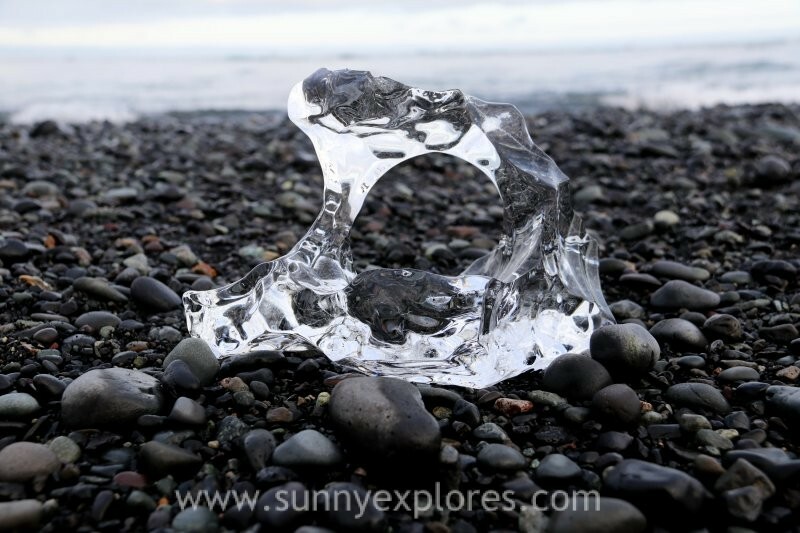 At the beach I always look for shells and pieces of corals, here you will find other treasures: ice cut like diamonds, broken by wind and waves, glinstering like gemstones in the black sand. A walk in wonderland. The Diamond Beach is a safe place for any responsible traveller; unlike the black beaches at Reynisfjara, that are notorious for their sneaker waves and rip currents. However also at Diamond Beach you have to act responsible. Don’t clim the icebergs. They can flip and trap you underneath and sometimes they are pulled out to sea by a current with you on it. Just enjoy your time at the beach, the view, the seals, and the many forms of the ice chunks. 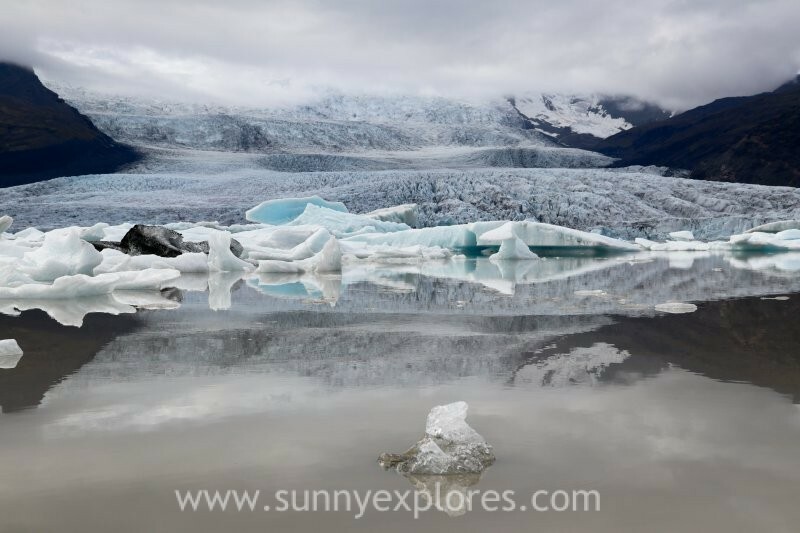 Only 11 kilometers west of Jökulsárlón lies Fjallsárlón, a stunning, yet often overlooked glacier lagoon. It’s much smaller than Fjallsárlón, but just as fairy tale like. Fjallsárlón lies at the foot of the Fjallsjökull glacier, which is also part of Iceland’s largest glacier, the Vatnajökull. From here you have a great view of the edge of the tongue where the icebergs fall into the water. The water flows from the glacier lake into the sea via a small river. And also here the colors are mesmerizing and enchanting. Photos can’t capture the greatness of this place, you really have to visit Jökulsárlón yourself. Even your eyes and mind simply can not take in the grandness of this lake.